Hazuki Dojo • View topic - OFFICIAL SHENMUE III KICKSTARTER ANNOUNCED!!!!! 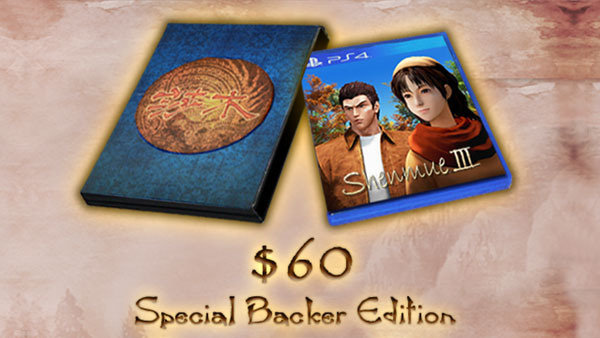 OFFICIAL SHENMUE III KICKSTARTER ANNOUNCED!!!!! Re: OFFICIAL SHENMUE III KICKSTARTER ANNOUNCED!!!!! 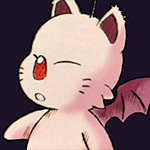 Yukupo wrote: I have to keep checking back on the kickstarter to make sure its still real. I'm gonna be like this for a while. Me too!! I'm still wondering if it is a trick or something. Tim Surway wrote: 100 times better after today. I was still reeling from game of thrones the night before but this news was even more unexpected! How's things with you? I've been desperately trying to find some trace of the old Net/Harbour forums today but to no avail. Looks like that's dust in the wind. Never watched the program, but I've read the books. It's really a shame about the Net/Harbour forums, but yeah, I think they're gone now. Brotherman wrote: Looks like I'll be getting an PS4 in the future. Thank-you Sony. I did the Kickstarter backing where I get the physical PC copy, but I'm wondering if I should up it to get a digitial copy on Playstation as well. It'd be great to play it on a Console again. As you said, looks like it's time to get a PS4. There's just something about playing it on a console that's so much better. SHENMUE 3!!!!!!!!!!! My mind has been blown. I watched the Microsoft conference live but i live in the uk so the sony one was on too late for me. I woke up the next morning and seen it as a headline on a game site I use. I couldn't believe it. I immediately text my friend that has himself been a life long shenmue fan. Ive pledged $100 to the kickstarter. Honestly, watching the announcement and kickstarter videos bring tears to my eyes. Shenmue is one of the best experiences of my life. Im sooooo happy and excited. Id now happily wait as long as the game takes to be made. ITS BEING MADE! Im getting the physical copy on pc, but nearer the time il be buying a ps4 and Shenmue 3 on it. More then happy to do that as id prefer to play it on console anyway. I'm not sure if we're gonna be able to reach 10 mil. At this rate we're probably lucky to hit 5, but it's hard to tell. At least it's more transparent as to what Sony's role is in the project. tbf its not goina hit $11 million. I have full confidence it will hit $5 mill though. Kickstarters tend to start moving again near the end of the campaign. Its just hit the middling lull atm. But $11 million is wildly ambitious it would seem. Hoefully they will continue accepting donations after. This goes to show though that the Shenmue community isnt necessarily massive, but just really really dedicated in its support. I never ever gave up on it personally. Even if I didnt believe it would be made. I'm wondering if he always had these stretch goals plotted out, or if they just came up with them as the Kickstarter started to do better. It's really slowing down, but we still have some time. No matter what, at least it's being made! I would guess they planned out the stretch goals. In the original image there was a fade at the bottom. They were definitely planning on unveiling more at least. Also: Corey Marshal is back as the voice of Ryo. They're definitely listening to our request. There's going to be a PayPal set up so that people can continue to donate even though the Kickstarter's finished.